Many years ago, to be exact, in 1873, a Scotch sea captain whose ship plied between Scotland and St. John, on occasion of a voyage when he had some time on his hands in St. John, took a run up the river. Noting the big domain of government wild land he saw on the trip, he conceived the idea of bringing a colony of his neighbors in Old Kincardine across, and settling them in New Brunswick. Here is a report printed in the Presque Isle, Maine newspaper. Rev. Gordon Campbell Pringle (1865 – 1952) arrived in Canada on May 21, 1892. He was ordained Sept. 7, 1892, in the Old Calvin Presbyterian Church, Saint John, New Brunswick. He was inducted as minister in Kincardine in the Scotch Colony in 1896. He received his Doctor of Divinity in 1933. He served the Scotch colony 1896-1952. 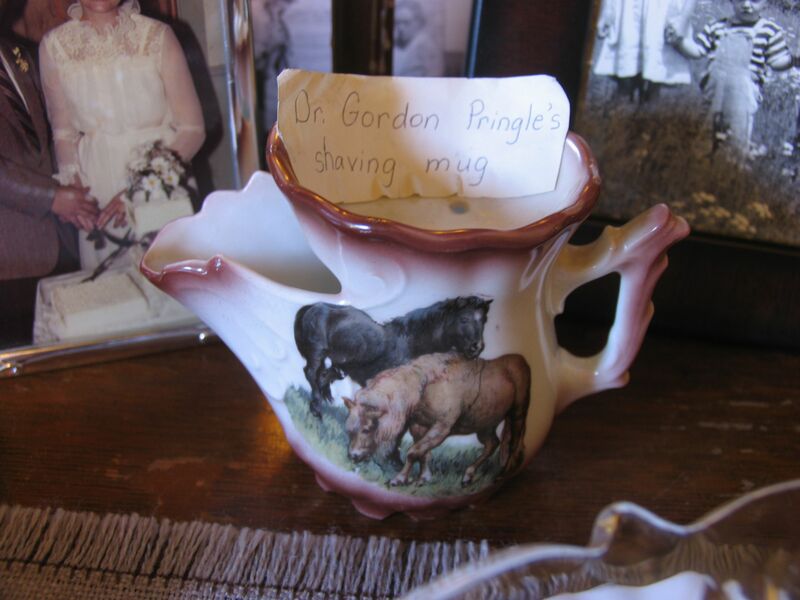 The shaving mug was part of the display at the former Manse on August 24, 2013 during Scotch Fest140. 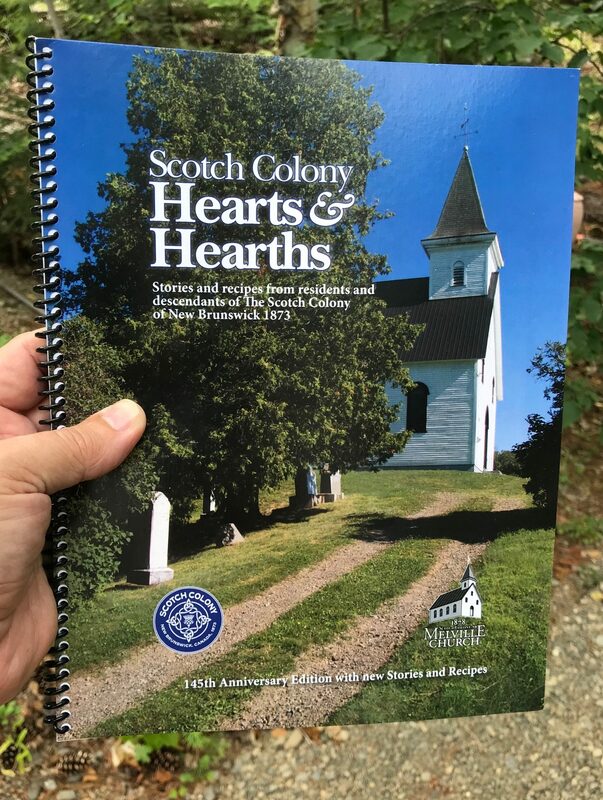 As part of the “Gathering of the Scots Festival” this weekend, two special services will be held at local historic churches. On Sunday, May 26, 2013 at 10 AM in Kincardine in the Scotch Colony, Melville Church will host a Commemorative Church Service. Named after Rev. 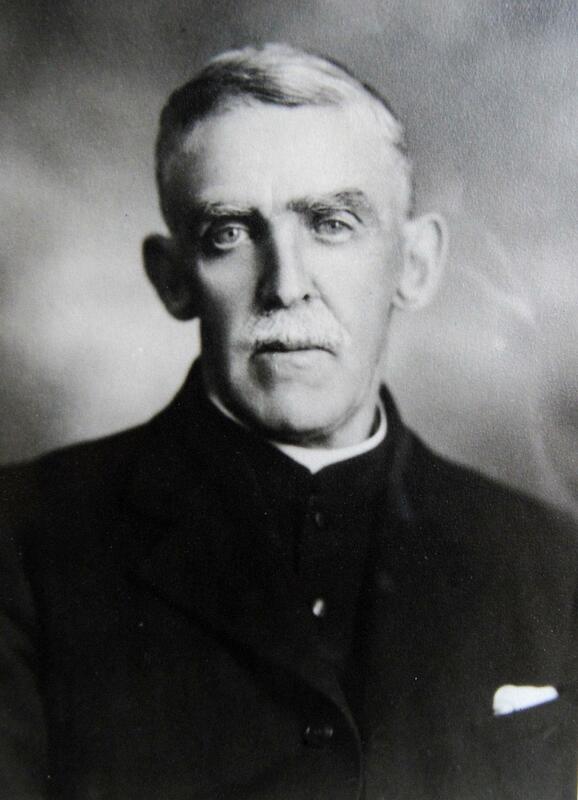 Peter Melville, an early minister to the Scotch Colony, Melville United Church was dedicated in 1878. Services are held here in the warmer months. The view from the hilltop in front of the church is spectacular. A transcription of the Upper Kintore Cemetery was completed by Ruth Todd and Patty Corey in September 2006 and updated September 2011. The alphabetical list is available on the web, thanks to their hard work, and also includes a short history of the Upper Kintore Church and directions on how to get there. Here is the link to the Upper Kintore Cemetery. Thank you to the Tobique Valley Genealogy and Local History Group which has a website and Facebook page. Many hours have been invested in making transcriptions of other local cemeteries available online. Extensive work has been done to make the records of the Melville Cemetery available online. Many thanks to Blair Morton and his mother, Kathleen (Ellis) Morton! Another transcription of this cemetery, updated September 2011 by the Tobique Valley Genealogy and Local History Group, also includes information about the monument for world war veterans.